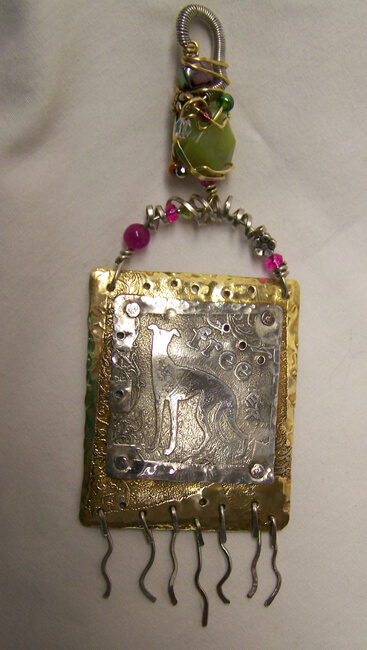 A newer style of greyhound pendant! This layered piece is formed of etched nickel silver over etched and pierced brass, with lovely bail detail. The pendant is gently curved, and accented with hammered nickel silver pieces. The bead colors are a summery combination of green and fuschia. The focal bead in the coiled wire bail is faceted green aventurine. 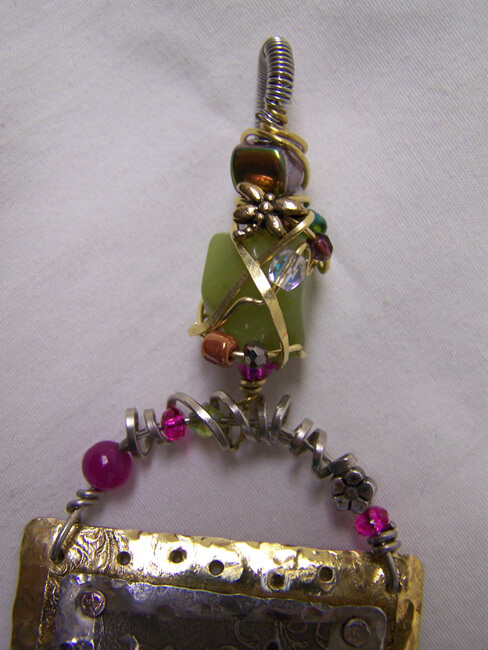 Size: The main pendant piece is 2" wide and 2 1/4" long. The total length, including bail and dangles, is 5". Looks best worn on a simple neck ring. Finished with Renaissance Wax to preserve shine. Inspired by our own two rescued greyhounds, Nester and Solomon.